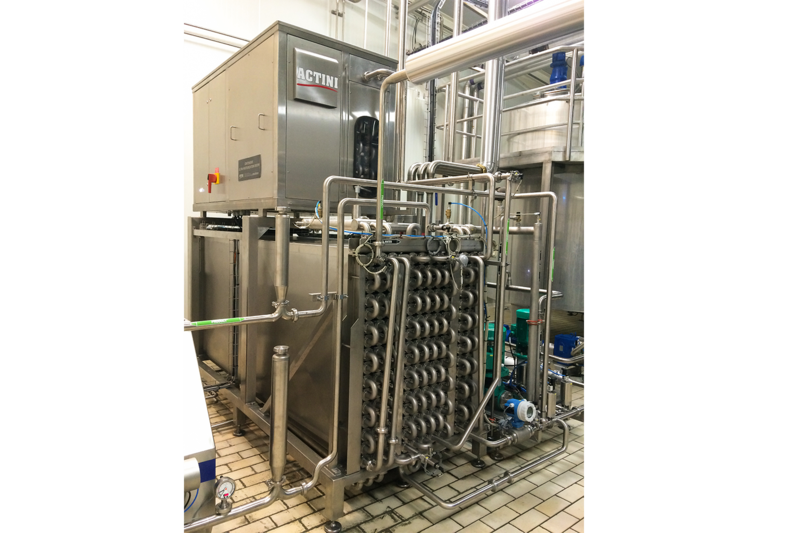 The complexity of pasteurization is the nature of the product. 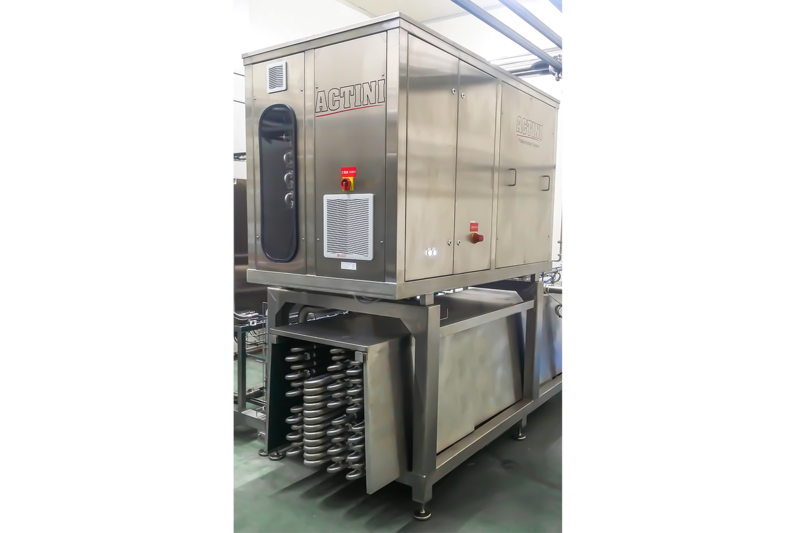 For eggs, which are fragile, especially variable and heat-sensitive, it is a real challenge and it requires a strong expertise in product and process. 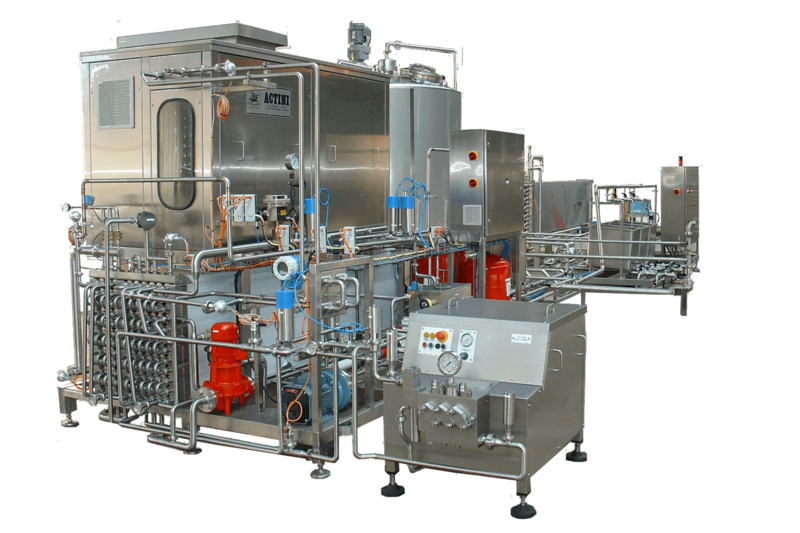 In addition, the treatment of different products such as whole, white, yolk or salty yolk with the same equipment are an issue too. 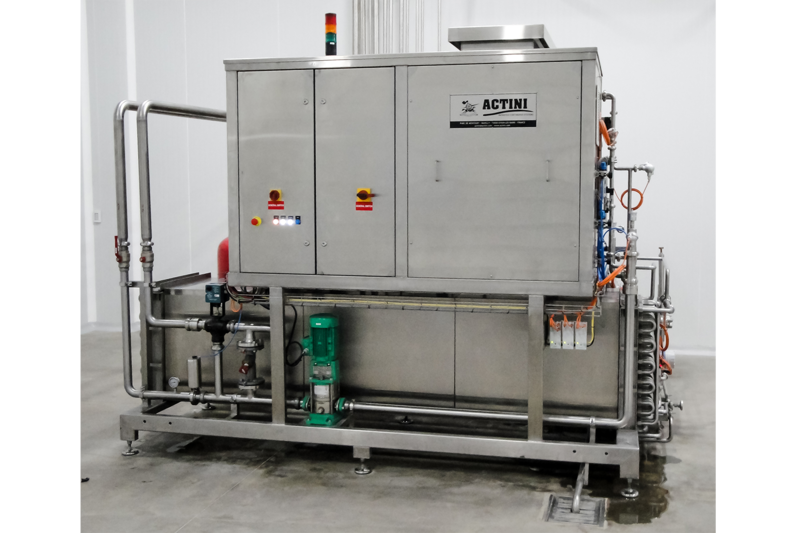 Our objective : allow our customers to propose a formulated and safe product similar to the functional properties of fresh egg, by investing in a production line with an effective system of pasteurization that will eliminate any potential pathogenic microorganism while protecting the original qualities of the egg. 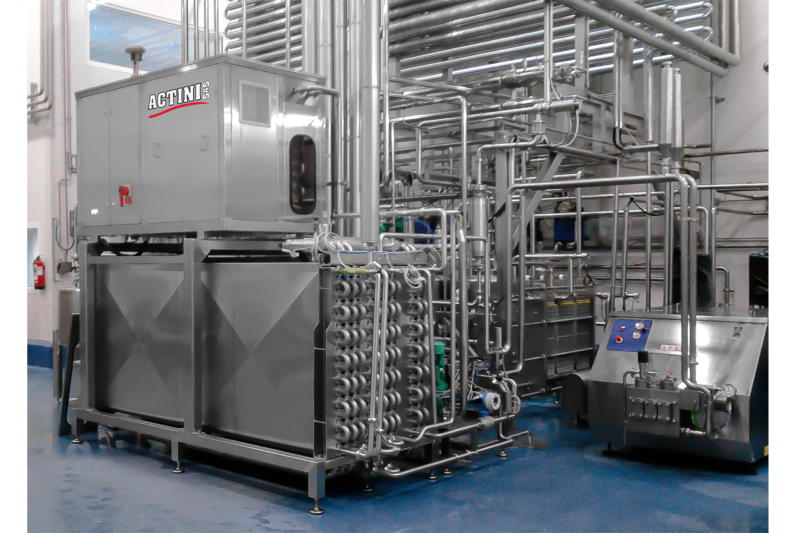 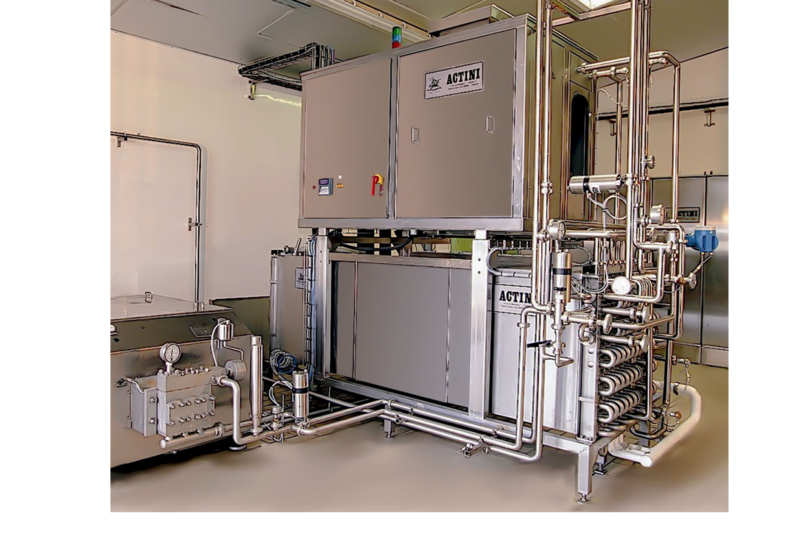 For processors wishing to obtain a very long shelf life, ACTINI has developed an ultra-high-temperature pasteurization process. With this unique technology, eggs can be processed up to 74°C without coagulation. 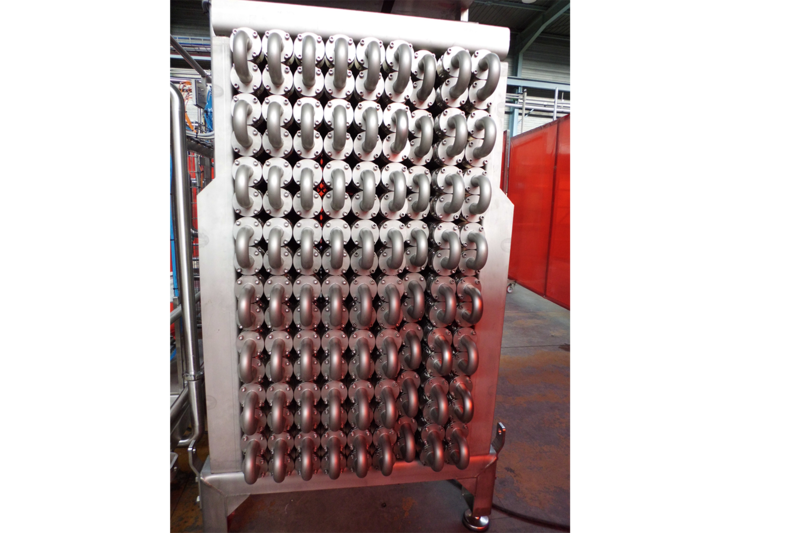 This patented method has a major advantage over both the economic and health plan: it achieves a shelf life of 8 to 10 weeks (against 2-4 with conventional methods) while preserving the functional properties of fresh egg. 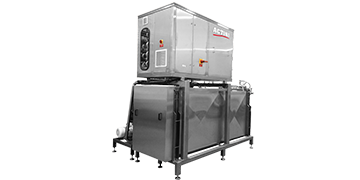 The Flash pasteurization is the most reliable technology to guarantee the elimination of any potential pathogenic microorganism and reach a longer shelf life. 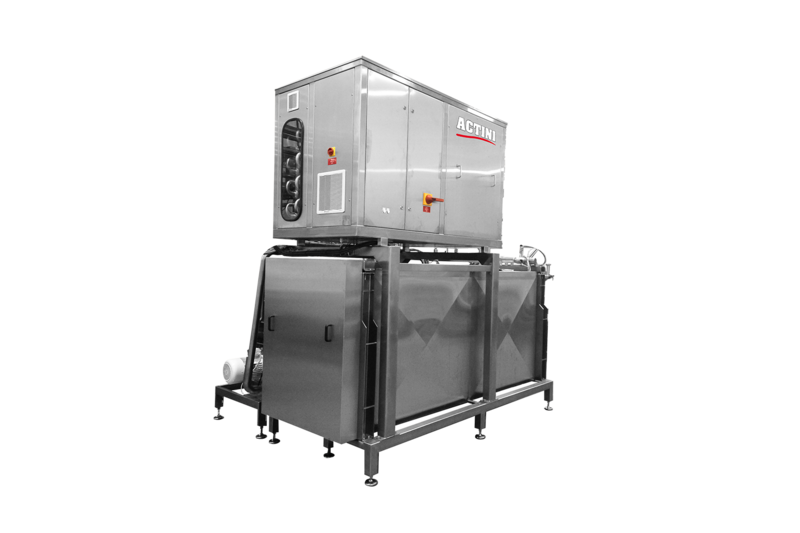 A treatment at 74°C also helps to destroy the most heat-resistant bacteria (for instance, the avian influenza germ can be destroyed only above 70°C). 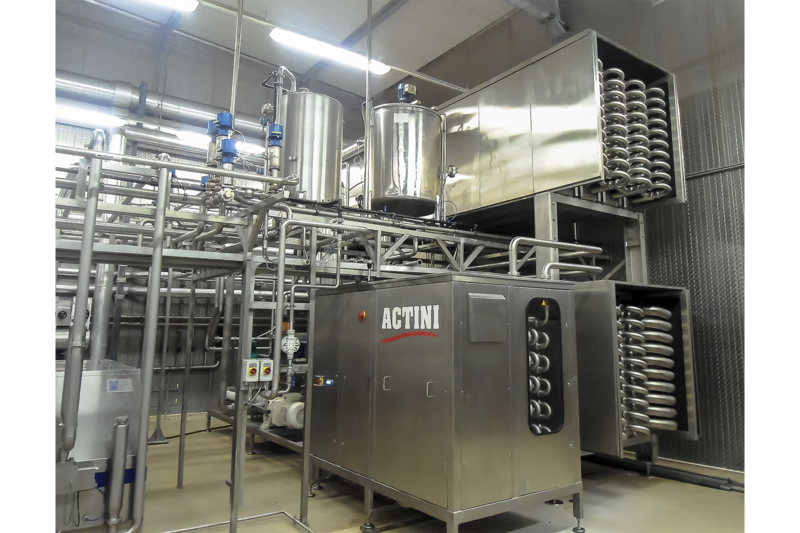 In addition to the preservation of the intrinsic qualities of eggs, ACTINI pasteurizers have been designed to preserve their functional characteristics (binding, whipping, emulsifying, coloring, flavoring and anti-crystallizing) and to obtain processed eggs having the same properties as fresh eggs.